Daytime visual coverage of up to 40km. Effective night-time coverage (with optional FLIR sensor). Programmable sector scanning pattern and interval. 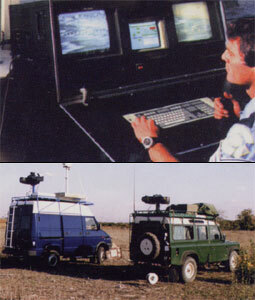 Built-in, command and control computing capability. Compilation of a "target bank" based on target UTM coordinates. Positive, real-time visual target recognition and identification. Fix station or mobile installation, quickly and easily. Automatic motion detection capability (optional). Add-on image processing capability (optional). Land-line or wireless remote control option.